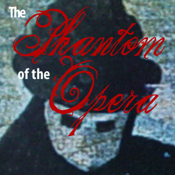 The Phantom of the Opera audio book podcast turned App allows you to easily see how long each chapter is and listen to them when you have the time. The audio book is set up like a show with each chapter in the episodes section of the app. Pick which chapter you want to listen to and get started!